a graphic made special for you, you can do that by clicking here! Besides that, enjoy! I AM IN LOVE WITH THESE WOW! I'm curious to find out something about your bumpers here, Diana. You mention "cover art" for the planetary senshi that you don't have bumpers for here yet. Cover art from what? I can tell by the style of the graphics in the bumpers that it has something to do with SM Crystal. But I'm still curious to find out what exactly this cover art is from. In other news appropriate to this thread, I am definitely going to use your Sailor Mercury bumper here by adding it to my bumper rotation, Diana. I am also considering using your Sailor Pluto bumper here; I have downloaded it to my computer; but I haven't made up my mind yet on whether I will use this one (I am leaning towards Yes, though). P.S. May I make a simple suggestion about your avatars here? If so, my suggestion is as follows : I notice you don't yet have an avatar featuring Sailor Mercury, nor an avatar featuring Sailor Venus. I'd be curious to see what two (or more?) avatars you come up with featuring each of them. 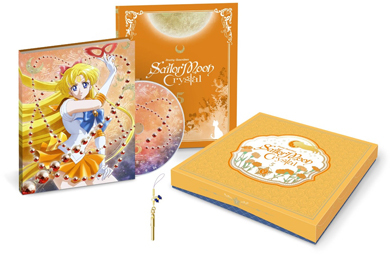 I assume that eventually they're release box sets featuring Neptune, Uranus, and Saturn since they have one for all the other senshi, so I'm waiting/hoping they will release them so I can make the bumpers all match minus the moon kitties and Tux! Okay, no problem regarding the timing of those avatars that I suggested , Diana; take as much time as you need. I only wanted to suggest what you should make there; I never had any expectations as to when. And thank you for that info on the source of the artwork for your bumpers here. These are amazing! I can't wait to see the villain bumpers! Love your graphics <3 Always vibrant and interesting to look at. So lovely!! Thank you all for your amazing comments ^^ I'm so glad that people like them!! Oh cool! You made a bumper for those of us who love the Amazoness Quartet! I like it - Thank you, Diana! Some new bumpers: The Black Moon Clan, Iron Mouse, and Galaxia have been added!! As well as a new avatar featuring Sailor Pluto ^^ Enjoy! I will be running off with the JunJun fangirl bumper, as well as quartet bumper. Using Sailor Senshi (first siggy)! YOU HAVE SO MANY BUMPERS NOW! So Beautiful, amazing how so many people on here are excellent artists. I'm using the Sailor Uranus, ava, the pluto bumper and Amazon Quartet bumpys, SO KAWAII!